I’m not saying this will be the case for you, but I personally love my wireless charger stand in my car, I just put my phone in there when I get in the car and it automatically charges, no need to fondle for cables. As for at home, I just got a charging pad for my nightstand and I must say it feels pretty great to just roll over in bed and place it on there without having to look under my bed for the cable when I’m half asleep already. But that’s just me. When I’m working, I have a wireless charging stand next to my monitor so I can see any notifications while charging. I would never use charging stands previously because the lightning connector mount was a bad accident waiting to happen. I also have a wireless pad next to my couch on my side table. When I’m playing games or watching TV, my phone is sitting next to me charging. Lastly I have a car mount / wireless charger. Get in my car, drop it in, and start driving. It’s brilliant. I end up charging my phone more frequently because there’s no added effort. While a wired charger is faster, the zero effort system I’m using keeps my phone topped out throughout the day. Absolutely love wireless charging. Best new iPhone feature in a long time for me. 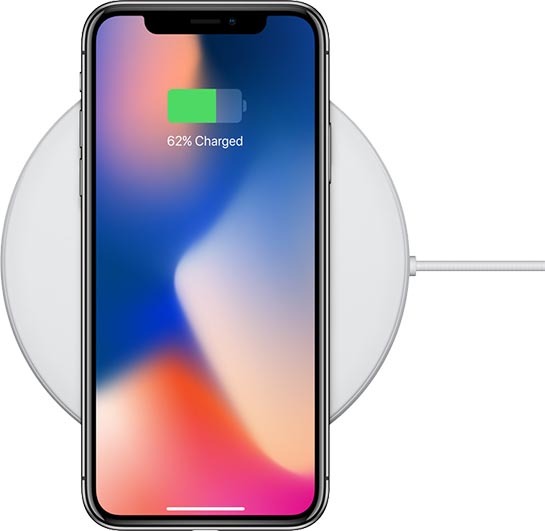 Oh what a surprise that out of hundreds of Qi chargers on the market, only 2 ofnthen will support Apple’s proprietary 7.5W charging capability. Not true, any Qi Fast charger that outputs 10W or 15W will work. There is nothing special or proprietary about those "official" chargers.